When you remove a user from your organization, they will lose access to private forks of your organization's private repositories, but may still have local copies. 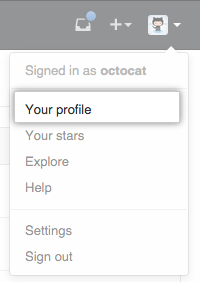 However, they cannot sync local copies with your organization's repositories. Their private forks can be restored if the user is reinstated as an organization member within three months of being removed from the organization. Ultimately, you are responsible for ensuring that people who have lost access to a repository delete any confidential information or intellectual property. 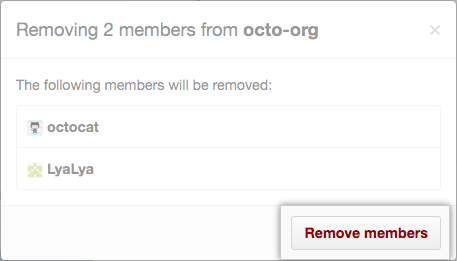 Note: When you remove a user from your organization, their membership data is saved for three months. You can restore their data, or any private forks they owned of your organization's repositories, if you invite the user to rejoin the organization within that time frame. For more information, see "Reinstating a former member of your organization." For more information, see "Reinstating a former member of your organization." 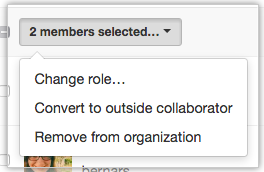 Select the member or members you'd like to remove from the organization.